I am relentlessly bearish Corn, the Soybean Complex and Wheat. I don’t know in what order they are going to crack wide open but my strong sense is a MAJOR selloff is beginning to happen…across the board in these three crops. Most recently, the Soybean complex has been leading the way down, but this “leadership” may change from week to week. Next week it may still be Beans, or it may be Corn or Wheat (or both) that are getting ripped the hardest…The truth is, I don’t know…I just think they are all on the move from here. 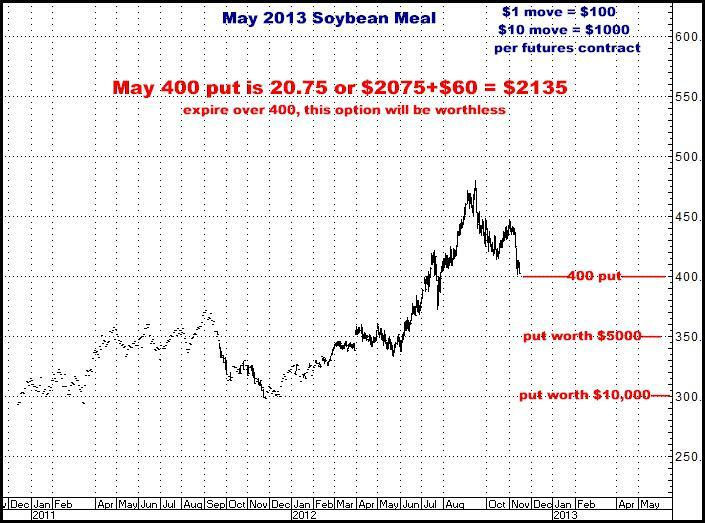 I DON’T KNOW WHAT THE MARKETS ARE GOING TO DO…but I do think there is bearish DEBACLE coming for the farm community…that all these producers who are sitting on their harvested crops, waiting to sell when the markets magically rally from what are already severely high prices, are in for an incredibly painful shock. 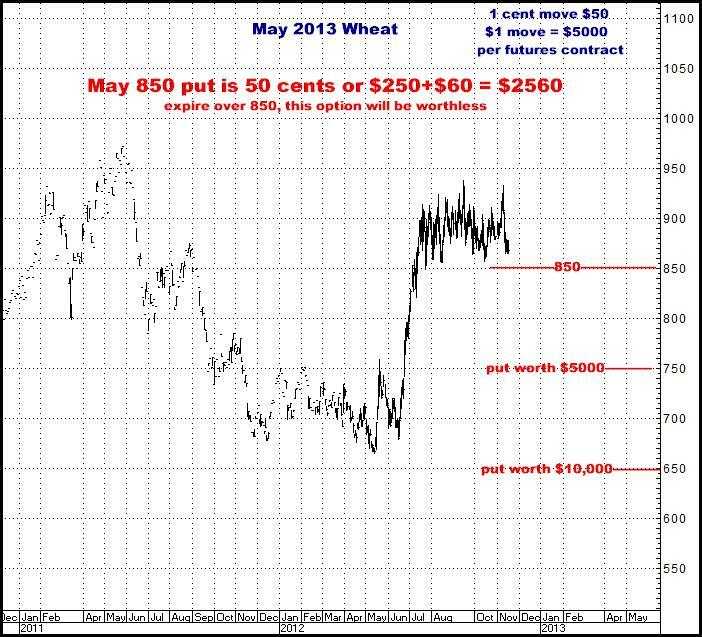 I think we have seen the highs in Corn, Wheat and Soybeans for many years to come. I am spending my days trying to get as many people as I possibly can into short positions in all three markets. I may be dead, dead wrong but I cannot imagine these three markets are going to sit here, sideways, AT THESE LEVELS, for the next 3-4 months. I may dead, dead wrong, but I also honestly cannot imagine what could possibly be out there to rally all three of these markets during the next 3-4 months. Yes, demand might come swooping in on one of them and push it back up…but all three? Or weather in South America might help one of them, but again, all three? NO WAY, in my old hack opinion. 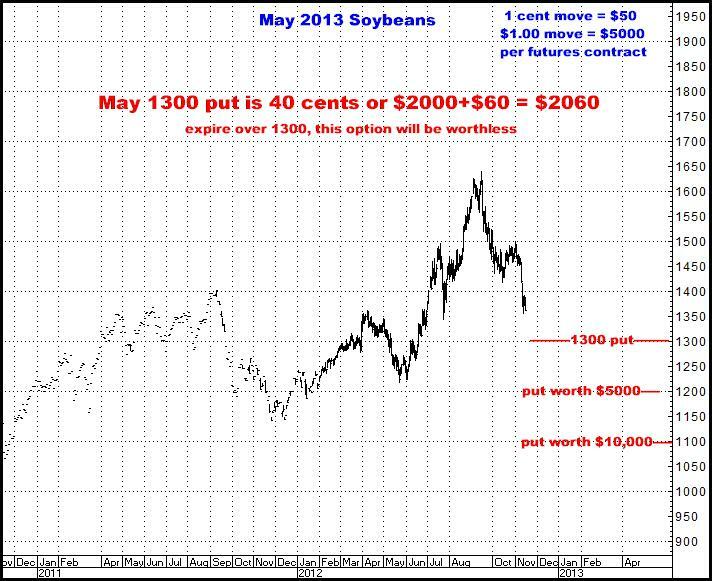 And I may be dead, dead wrong but I can EASILY envision a whole bunch of people, speculators and farmers alike, 3-4 months from now unable to believe what they have seen on the downside in Corn, the Soybean Complex and Wheat. I AM just an old hack broker who doesn’t know what is going to happen, but there are times when I do think I know…because I’ve seen this movie before. I think all these markets are going in the tank. I think they are on the move now. It absolutely does not mean I will be right, and if I am wrong it could mean losing every dime you put on the table, but I put this trade on my “top five of all time” list. I think you get short all three and I think you do it now. I can’t put it any other than way. You know what I think. Give me a call if you want to do something with it. Charts and recommendations follow. If all the chatter about tight supply and demand really matters, why has this market dropped $3.00 in the past 2 months? If you don’t understand that this market CAN quickly be back to where it started…under $11.00…then you know nothing about the futures markets. You can do the numbers yourself. All three options total about $6405. There are any number of permutations as to how this can work out---including losing 100% of your investment---but if I am just half right on one of these, and dead wrong on the other two (meaning they have either stayed up or gone higher), you would come pretty close to getting back the $6405. This is obviously not my objective, just to break even...I would also add, I DO think all three of these markets are going LOWER than the levels at which these options would be worth $10,000. As always, maybe I am dead wrong, but this is what I do think. I don’t ever throw numbers out there simply to get anybody excited. Finally, there are various ways of taking these positions…not just using the options shown here. Call me if you want to know more. 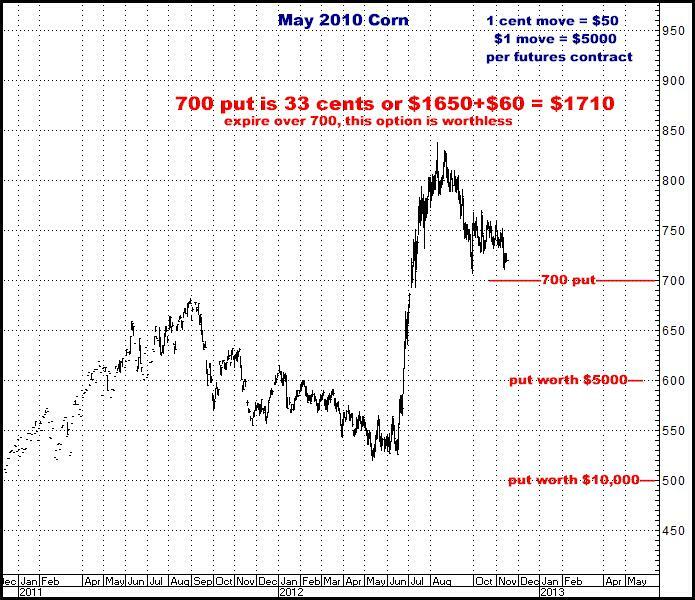 The author of this piece currently trades for his own account and has financial interest in the following derivative products mentioned within: Corn puts, Soybean Meal puts, Wheat puts.